“The Life Of Riley” is an expression of uncertain origin, referring to a life of wealth, ease, and luxury. It’s been the title of several old radio and TV comedies and a movie starring William Bendix – and now, “The Life Of Riley” is the title of a documentary film directed by Jon Brewer about the life of one Riley B. King, much better known as B. B. King. As a child, Riley King certainly didn’t live the “life of Riley.” He was born black in Mississippi in 1925. His parents were poor, and they separated when he was small, and his mother died when he was ten. His grandmother and some aunts helped care for him, but he was pretty much on his own from age thirteen. In the film, King says he paid off his grandmother’s debts after she died with money he earned working in the fields. He was just fourteen at the time, and lived alone for a while in a cabin, continuing to work in the fields and with no real parent figure in his daily life. His father eventually called for him, but when he went to his father’s house, he did not feel comfortable with his half-siblings and the family his father had started since parting with his mother. It would take a long time before he became close with his dad, who for some mysterious reason called him “Jack.” In fact, at age sixteen he rode a bicycle some fifty miles back from Lexington MS to his Delta home, leaving his father’s house and family behind him. 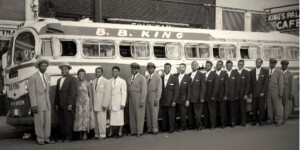 Brewer draws on many sources, including lengthy contemporary interviews with King, though he often intercuts old footage from sources such as King’s appearance on Ralph Gleason’s Jazz Casual, a classic television show where musicians performed and talked about their music. With remembrances from people who knew him as a child, as well as managers and producers, we see that King has always been well-liked and incredibly hard-working. King revisits his birthplace, between Indianola and Itta Bena, and Brewer provides a rare chance to hear the voice of his father, Albert Lee King, from an old audio interview, describing the area. King first became fascinated with the guitar played by a preacher whose sister was married to King’s maternal uncle. He picked up the instrument whenever he could. King was also mentored by a teacher, Luther Henson, fondly remembered in the film. B. B. King is someone who remembers everyone who helped him in any way. He felt that the owner of the plantation where he worked, a man named Flake Cartledge, was a fair boss, and he notes that he never fell into disliking all white people, even though he was quite aware of the Ku Klux Klan and the fact that he was a second-class citizen as a black person. King was influenced by guitar-playing Reverend Archie Fair in church. Fair played electric guitar, and King decided he wanted to play it too. He started playing street corners for tips and then small juke joints. 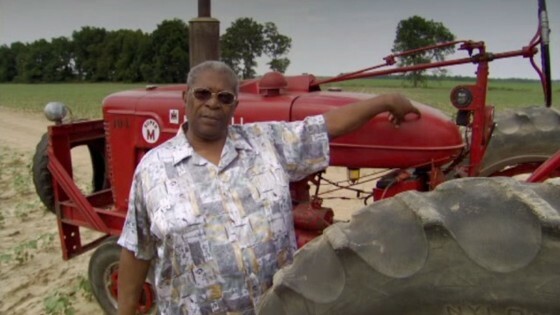 King would race from his job driving a tractor on a plantation to evening gigs around Mississippi. One time he parked the tractor and apparently, in his rush, didn’t quite shut it down. The tractor shot forward after he had gotten out of it, and it was damaged. Terrified, he fled to Memphis and met up with his cousin Bukka White. White taught him about being a professional musician. King couldn’t duplicate White’s sound on a steel guitar with his electric guitar, but his attempt to do it led to his own distinct guitar tone. Indeed it is tone, much more than technical dazzle, that really distinguishes King’s playing. King later sent word back to Mississippi and said he was sorry about the tractor, and actually paid several hundred dollars for the repair of the damage. He returned to his job in good graces, but later returned to Memphis to work as a dee-jay and a musician. 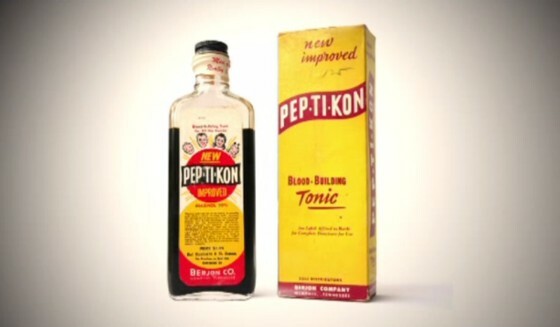 In the film King re-creates his jingle for Peptikon, a “blood building” product whose most important ingredient undoubtedly was alcohol (about 12% alcohol content). The ad hoc jingle got him a job at WDIA, where he worked until there were so many gigs that he could no longer hold down that job. The information and personal recollections relating to King’s early life may be the most interesting part of “The Life Of Riley,” but there is also plenty of attention to his career. His first record “Miss Martha King” (written for his first wife) was not a big seller, but a few years later he had his ground-breaking hit “Three O’Clock Blues” recorded in the YMCA in Memphis because his label had fallen out with Sam Phillips at Sun Records whose studio they used to use. The film charts his early career with the Modern/RPM/Kent family of labels and how he jumped to ABC (failing to mention, though, that he left so much stuff with Kent that they kept issuing it through the 1960s while he was an ABC artist). His tours with The Rolling Stones and U2 are remembered. There are lengthy clips from U2’s lead singer Bono, and from King talking about his collaboration with U2, in which King reveals to us that he never really played chords on the guitar; he is a single-string player. These tours greatly boosted awareness of King outside of strictly blues circles. Producers Bill Szymczyk and Stewart Levine talk about their projects with King. Szymczyk’s idea of adding a string section to “The Thrill Is Gone” clicked. No one had produced a blues record like that before, and it was a huge hit. Szymczyk went on to great success producing The Eagles a few years later. The film is full of remembrances and accolades for King. Ringo Starr excitedly recalls playing with him on the “B. B. King In London” album, and artists including Bonnie Raitt, Dr. John, Carlos Santana, John Mayall, Aaron Neville, Robert Cray, Joe Walsh, Leon Russell, Buddy Guy, and many others all appear in the film to add something about King’s greatness. Eric Clapton describes making their album together “Riding With The King.” King himself remains modest in his assessment of his own musical abilities, and says that the kind of person a prospective band member is may be more important that the person’s musical skill on day one. Charles Evers, brother of slain civil rights leader Medgar Evers, talks about King’s commitment to Medgar’s work and also notes that King avoided becoming a racist himself. King remembers staying in a hotel where another King, Martin Luther King, was also staying. A bomb went off in a room between their rooms, apparently intended for Dr. King’s room. Both Kings were unhurt. The film is much less informative on the personal side, not naming any of his children or enumerating them (he has fifteen kids each by a different woman according to author David McGee). His wife Martha left him, and one likely reason – that another woman had given birth to a child by him – isn’t offered. There is a rare, fairly deep, interview with his second wife, Sue King Evans, but the upshot of it is just that his life on the road precludes marriage. King hasn’t married again since they split, and they remain on friendly terms. 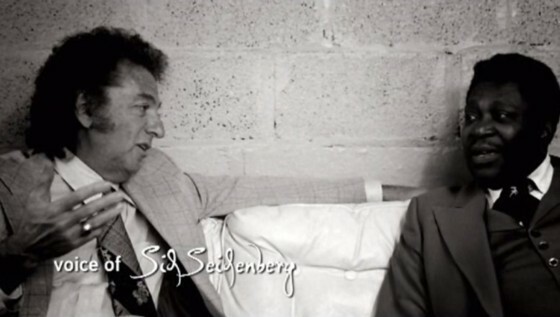 Sid Seidenberg, King’s manager for a while, talks about his “financial problems, big time” in a recorded telephone interview, without really detailing them (some of the problems probably resulted from gambling, though he also just wasn’t making enough money with the work he was getting before Seidenberg took over). “The Life Of Riley” will thus appeal more to true music lovers who appreciate the diversity of King’s appeal and the passion of his performance than to celebrity watchers looking for “the dirt.” It’s certainly not a hagiography, but it is very deferential to the great bluesman, celebrating his unique place in the world of music with footage from his career that doesn’t disappoint, and measuring the magnitude of B. B. King with unmistakable and irresistible admiration for the music and the musician. Birthplace of B. B. King. 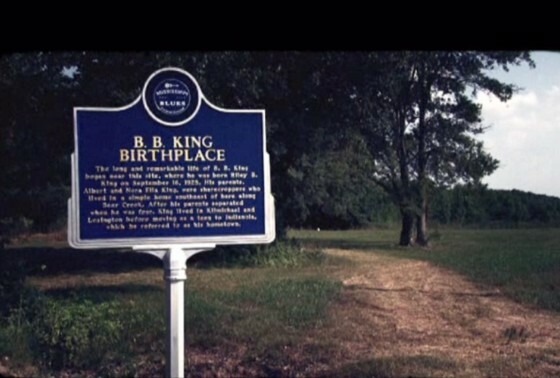 In the film the voice of King’s father Albert Lee King is heard describing the area between Indianola and Itta Bena. King describes how a tractor he didn’t fully park before jumping out took off and got damaged, a costly mistake he eventually paid for. The Mississippi B. B. 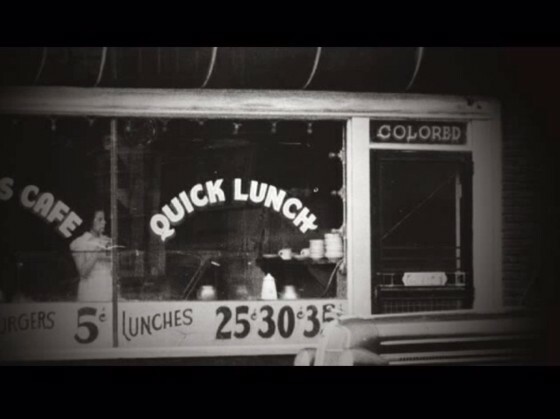 King grew up in was a place where there was strict segregation. “Miss Martha King” from 1949, B. 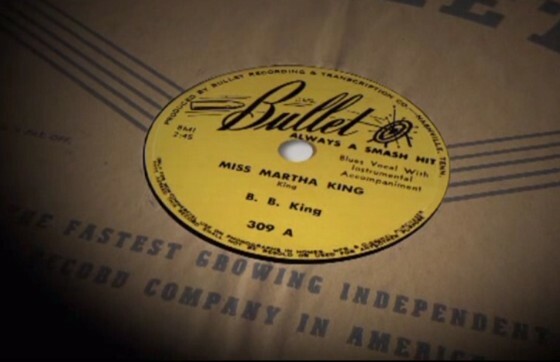 B. King’s first record, for his first wife. King’s ad hoc jingle for this stuff in an audition got him a job at WDIA in Memphis. Peptikon’s appeal may have been that it was about 12% alcohol. 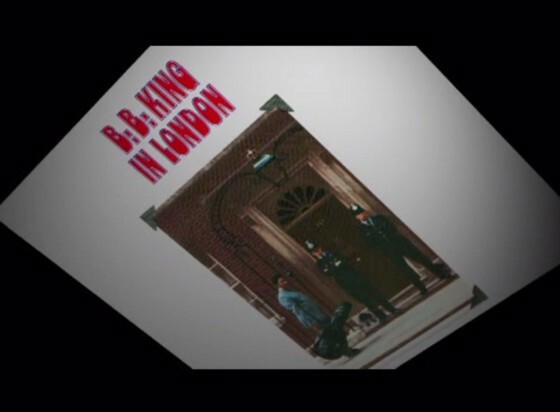 King’s trip to England in 1970 resulted in the making of the album B. B. King In London. Among the British musicians joining him was Ringo Starr on drums. Sid Seidenberg, both accountant and manager for King, helped him get better bookings and straighten out his shaky finances. B. B. 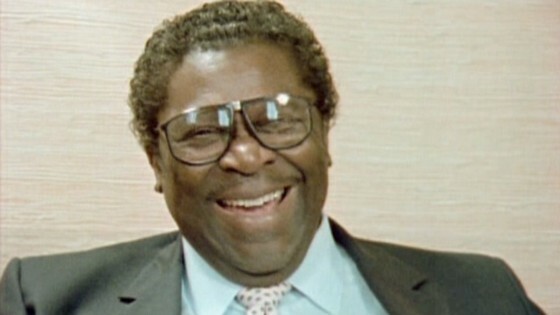 King thanks Rufus Thomas for letting him compete repeatedly in a talent show in Memphis. At a blues concert at the White House, President Obama holds a mic for King.